A method for controlling perceptual disorientation. A method for eliminating the causes for perceptual disorientation. Fortunately, it is very easy to stop the disorientation. All we have to do is teach the student how to recognize when they are disoriented, and then how to use their own mind and awareness to turn off their disorientation – or, in other words, to become “oriented.” This really is no more difficult than teaching a child how to hold their breath while swimming underwater; it is simply a matter of learning to consciously control something that usually happens in our minds without our awareness. Over the years, Davis providers have developed several methods for teaching this control. The most common and reliable way is called Davis Orientation Counseling®, and is described in detail in The Gift of Dyslexia. Using this technique, the student learns to mentally move their “mind’s eye” to a different vantage point, until they find the optimum point for focusing attention, called the orientation point. Students who have difficulty with the visualization approach can achieve the same effect through a kinesthetic approach, called Alignment and Fine-Tuning. Both are followed by an auditory approach called Auditory Orientation. Resolving disorientation is necessary before the student can progress, because otherwise the student will continue to misperceive letters and words. If one word sometimes looks like bat, and at other times looks like tab or pat or tap or tad – there is no hope that the student will ever be able to recognize the word. A parent or teacher might think that the student has memory problems and encourage drill and repetition, whereas the student is confused and frustrated because the tutor seems to be showing him different words each time. Fortunately, the methods are easy to teach. Since it involves a skill that dyslexic children are good at – using their imagination – they usually catch on very quickly. Sometimes, especially with older children and adults, the results from Orientation Counseling are extremely dramatic, resulting in an immediate jump of several levels in reading ability. This is because for these children, their disorientation has been the major barrier to progress. They may have already had years of education or tutoring; once disorientation is resolved, all their past experience clicks in to place, and progress is typically extremely rapid. However, learning to control disorientations does not resolve dyslexia. All it does is resolve a key symptom of dyslexia, not the underlying cause. Until you fix the cause, the symptoms will inevitably recur. The reason that controlling disorientation is not enough to resolve dyslexia is that the disorientation is a response to confusion, frustration or stress. In the case of reading, this response is triggered by confusion over letters or words. As long as this confusion exists, and there is no picture for what a word represents, the student will continue to become disoriented when reading. Mastery of the alphabet and basic language symbols. Mastery of words for which the dyslexic has no picture or meaning. Building sequencing and comprehension skills during reading. Disorientation is often caused by individual letters that are visually or auditorially confusing to dyslexics. For example, my son found it difficult to distinguish c from e because of their similar appearance; others have problems with c and s or c and k because they often represent the same sound. 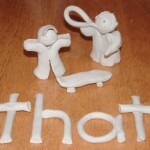 Thus, the first step toward resolving dyslexia is to create the letters of the alphabet in clay. 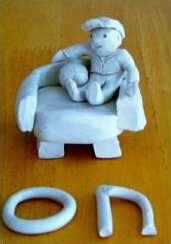 We use clay because it is a three-dimensional medium and also involves a creative, participatory act. 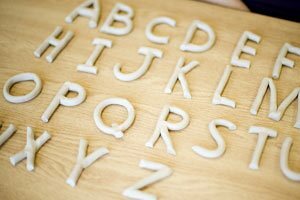 By molding the letters in clay, the alphabet is no longer something arbitrary but something the child (or adult) has made, and thus becomes a part of them. Through observation of how the student forms the letters, and how they react to saying the names of the letters, we can find which are ‘triggers’ for disorientation, confusion and misperception; and help the student overcome the confusion aroused by that letter. The student models two complete alphabets, first upper case, then lower case. As each set of letters is mastered, the student explores and discovers the correct shape, name and sequence of each letter. Alphabet Mastery is followed by similar work with punctuation marks and pronunciation or speech sounds. With this knowledge, the student is equipped to use one of the most important tools for learning that we can provide the picture-thinker: the ability to explore the meaning of words with the dictionary. The words that cause the most confusion for dyslexics are common words, such as it or from. Often a student will easily read a longer word in a story, such as crocodile, but hesitate or stumble over a word like the. Because these words lead to disorientation, we call them trigger words. This is because the dyslexic student thinks with pictures. It is easy to envision a crocodile in one’s mind, but very difficult to imagine an ‘of’ or a ‘this’. We resolve this problem through a process called Davis Symbol Mastery. After looking up a word in a dictionary and discussing a definition with a helper, the student models an object or set of objects which accurately represents the meaning of the word, as well as the letters of the word in clay. This process goes far beyond the multi-sensory and phonemic awareness strategies that are recommended for dyslexic learners. It engages the creative process and establishes a lasting mental image for a specific word and series of letters. It produces comprehension and long term retention of the spelling and meaning of a word without the need for phonetic decoding or memorization. It stops the word from causing any future disorientations. There are more than 200 trigger words in the English language that have to be mastered, but once this is done the student has developed a working arsenal of sight words – words that are both recognized and understood as soon as they are seen. All you have to do is count the number of small, abstract words in this sentence to see what a difference that will make. 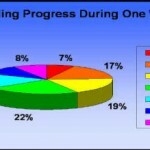 The other goal is that the student has learned a method that can be applied to any word or concept. Davis Symbol Mastery can also be used to master the vocabulary of any subject. The word ‘polygon’ or ‘cytoplasm’ can be mastered even more easily than the word ‘by’. As the student grows older, he has a method that will enable him to master any concept that causes problems in school. Three Steps to Easier Reading. To help dyslexic students master the mechanics of reading, and increase reading speed and comprehension, we use a set of three techniques: Spell-Reading, Sweep-Sweep-Spell, and Picture-at-Punctuation. One problem that dyslexics have is that it is not natural for them to sound out words letter by letter, or even track the letters of a word from left-to-right, taking in one letter at a time. As picture thinkers, they want to look at all the words at once. Their struggle to sound out written words leaves them unable to comprehend written material and usually necessitate re-reading the same text numerous times often at the cost of severe headaches. These exercises allow dyslexics a way to quickly, comfortably and easily learn to visually track, decode, and comprehend written material using their natural abilities. A detailed explanation of the Davis Theory of dyslexic thinking and development as well as a step-by-step instructions for the Basic Davis Methods can be found in the book The Gift of Dyslexia. Marshall, Abigail (2008) “Davis Dyslexia Correction: A Brief Explanation”. Retrieved April 21, 2019 from Davis Dyslexia Association International. Dyslexia the Gift website: http://www.dyslexia.com/?p=108. Statistics from Rocky Point Academy Davis Facilitators Lawrence and Stacey Smith have assembled data showing reading level gains for more than 360 clients who completed the Davis Dyslexia Correction® program at their center, Rocky Point Academy , in Calgary, Canada. There is SO much here that I feel I’m either finally at the crest of helping my child regain the ability to learn or I’m even more bogged down because so many factors can be the, “Who’s on First, What’s on Second” if you will. For my son it started with hand movements at age 3, High Honors in Kindergarten and beginning first grade. But as reading increased, the grimacing while reading and other things the teacher picked up on lead to trouble in school because the teacher was not equipped to teach alternatively and punished or pushed my son, causing him more emotional pain. I dis-enrolled him from this very nice small private school I had hoped he’d go to through high school, and began homeschooling, as I had already homeschooled my two older boys. I also opted out of the public school testing and had him tested through my own choice of doctors so the outcome what to do would be my decision as well, not the school’s. He tested borderline for Autism, Sensory Integration and pretty serious eye tracking issues. And this is my entire point here, any of these issues could be the part you describe as the “disorientation” part when we are attempting learning! What if it is the eye tracking that causes the breakdown to the confusion state? They say eye tracking issues are like someone passing their hand in front of your eyes, causing tiny disruptions that lead to frustration. (Or confusion state?). And eye tracking is rarely ever found by eye doctors! I even took him to a specialist for what appears to be an eye that trails outward. I mentioned the eye tracking issues and she told him there was “nothing wrong with your eyes kiddo and don’t ever let anyone tell you there is”! I was dumbfounded at this! Who was right? The eye specialist/surgeon or the eye tracking specialist Doctor? Anyway, now the sensory issues… What if the lighting, which he’s very sensitive to, is causing the disorientation stage? Or his clothing? Or maybe it is dyslexia? I’m sure anyone even vaguely associated with being lost in a sea of diagnosis’s who’s been floating around, and not one of them can I grab on to to get us unstuck in the learning process, can understand this. Any opinions or help would be most appreciated. I’ll try to get these books and read them but honestly, I’ve read tons of these and every one of them makes some sort of sense but none have helped us. Cheri, you are correct that disorientation can account for a large variety of symptoms, and even could be a the root of problems that lead to a different diagnosis. That is why we always start with orientation training in all of our programs, no matter the end goal. Achieving orientation won’t resolve everything, but it will enable the person to benefit from whatever other therapy or teaching may be appropriate to their needs. Does the book include an assessment? The book includes destailed, scripted instructions on how to do the Davis Perceptual Ability Assessment. However, I think that reading the book’s description of underlying causes of dyslexia provides more insight into overall learning style and thinking patterns. Thank you, do you have ressources in French language ? We checked with a family we had known who struggled with their son’s dyslexia years back to see if they had ever found anything that worked before deciding if our son should complete the Davis program. Their son had completed three different programs/tutorings, and they felt that the Davis program helped him the most. They indicated that had they attended it first, they likely would not have done any other. We met with the facilitator. Within two days, our teenage son told us he wanted to do the program. 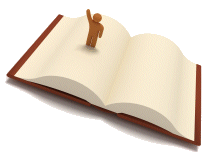 List of research articles, literature reviews, agency reports, and books describing or exploring Davis methods as compared with other theories and approaches. Material on this site is copyrighted and may not be reprinted or distributed without written permission. Davis Dyslexia Association International, the DDAI logo, the phrases Davis Dyslexia Correction, Davis Symbol Mastery, Davis Orientation Counseling, Davis Math Mastery, Davis Learning Strategies, and Dyslexia The Gift are trademarks and service marks of Ronald D. Davis and DDAI. Professional services described as Davis®, including Davis Dyslexia Correction®, Davis Symbol Mastery®, Davis Orientation Counseling®, Davis® Attention Mastery, Davis® Math Mastery, and Davis® Reading Program for Young Learners may only be provided by persons who are trained and licensed as Davis Facilitators or Specialists by Davis Dyslexia Association International.